Beijing: China’s economy grew faster than expected in the fourth quarter of 2017, as an export recovery helped the country post its first annual acceleration in growth in seven years, defying concerns that intensifying curbs on industry and credit would hurt expansion. 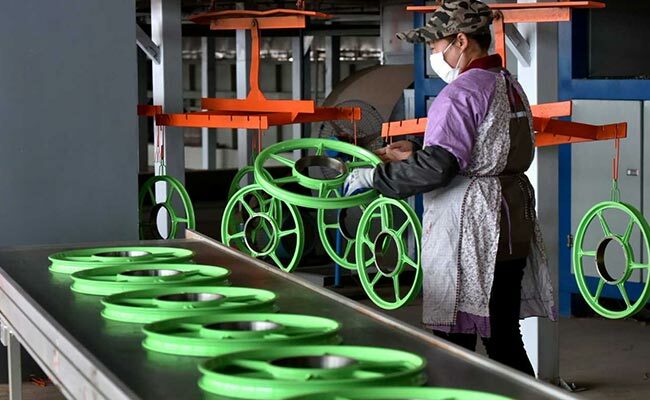 The official growth figures released on Thursday are welcome news for Beijing policymakers who are looking to cut debt and pollution in older industries without stunting growth in the world’s second-largest economy. A synchronised uptick in the global economy over the past year, driven in part by a surge in demand for semiconductors and other technology products, has been a boon to China and much of trade-dependent Asia, with Chinese exports in 2017 growing at their quickest pace in four years. “Real growth of overall exports…more than fully (explained) the pick-up in GDP growth last year,” Oxford Economics head of Asia economics Louis Kuijs wrote in a note. U.S. President Donald Trump’s administration is considering several unilateral tariff actions on steel, aluminium and China’s intellectual property practices likely to draw disputes from WTO members.